Late last week, the Commerce Students' Society (CSS) announced the winner of their inaugural student-nominated Teaching Excellence Award. shows a genuine interest in students. 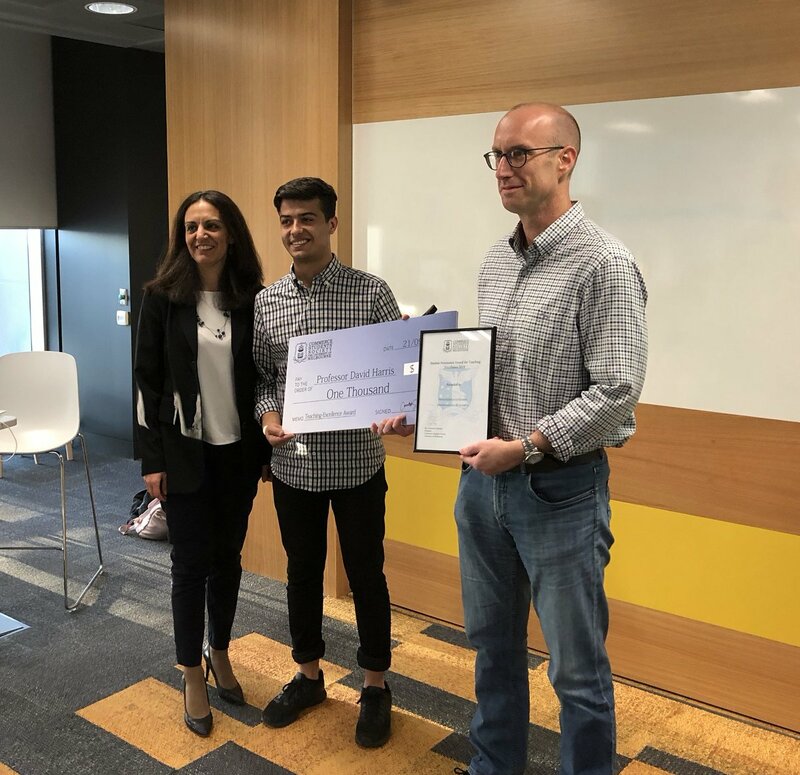 After sourcing student input and an extensive nomination process over a number of months, the students reported that the winner, by an overwhelming majority, was Professor David Harris (Department of Economics). Congratulations to David on this inaugural award.